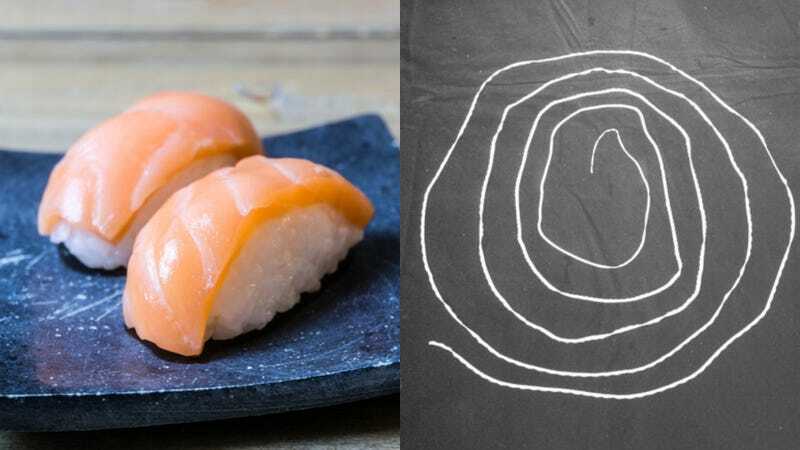 We may have to re-think our sushi obsession for a little bit, much as we love it, after a five-and-a-half-foot long tapeworm was pulled out of a Fresno resident who was a frequent raw salmon eater. The man’s case was revealed on the January 8 episode of the podcast This Won’t Hurt A Bit, featuring Dr. Kenny Banh, an emergency medicine physician at UC-San Francisco’s Fresno campus. The guy wasn’t feeling well, went to the bathroom, and told Bahn that “I looked down and it looked like there was a piece of intestine hanging out of me.” Fortunately, that item was not his actual insides, but a pesky parasite, which the patient then pulled out of a plastic bag and showed to Bahn, rolled around a toilet-paper tube. Honestly, we would have appreciated this news before we had maki sushi on Saturday night. But we weren’t paying close enough attention: Last year, a study in the Centers For Disease Control journal Emerging Infectious Diseases (sounds like a fun must-read) revealed that “wild salmon caught in Alaska had also been infected by this parasite. Based on those results, researchers warn that salmon caught anywhere along the Pacific coast of North America may be infected,” according to CNN wire service partner KTLA. The worm emerges in salmon that has’t been frozen or stored properly. So maybe we can still stick with our favorite sushi, but just avoid those salmon rolls for a while, even though that CDC report was a year ago, and the tapeworm was actually discovered in August. After all, Bahn “didn’t suggest people stop eating sushi, but did issue the warning that all food has inherent risks in it,” according to USA Today.